I told you it was coming, now here it is! After a long process that ended with a very long night of link-checking, the new OnTimeSupplies.com is open and ready for visitors! As promised, the new site is more attractive and easier to navigate — finding all your essential office supplies is a cinch with the new click-able category tabs, improved search engine and toner finder. And you don’t need a degree in interior design or DVR HGTV anymore to furnish your office right either. With the new furniture collections, you can have a stylish, comfortable office, conference room or reception area with just a mouse click. Most impressive are On Time Supplies’ new community pages. In a section dubbed the “Knowledge Base” are a ton of how-to guides with expert advice on everything from how to choose a laminator to going green. Another great new feature of the site is the Deal of the Day. On Time Supplies now offers deep discounts on the office supplies you need the most. 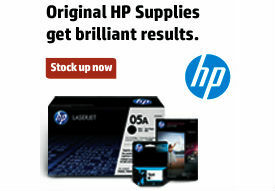 The selection changes every 24 hours, so check out OnTimeSupplies.com daily to see what’s on offer. In spite of the fancy new site, the things you love most about On Time Supplies haven’t changed — great discounts for bulk orders, fast shipping, and of course, a friendly, knowledgeable and easy to reach staff ready to answer any questions!